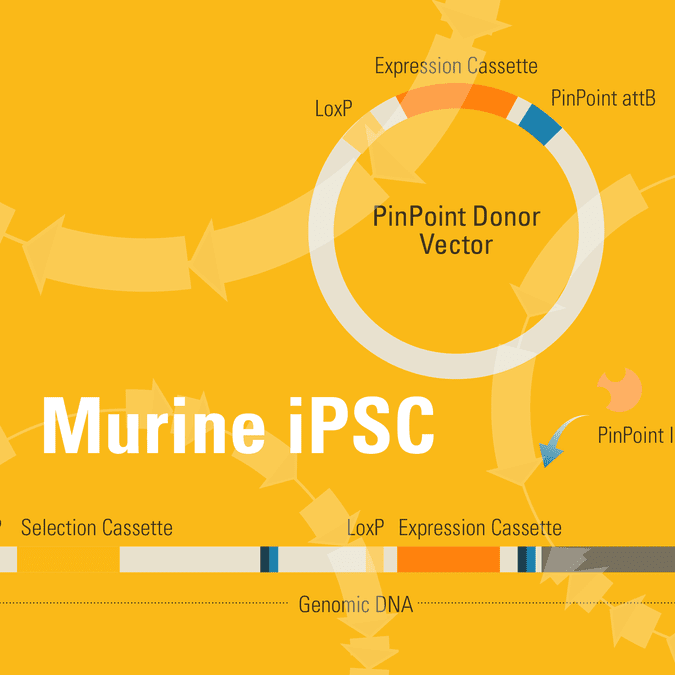 With the PinPoint-FC Murine iPSC Platform Cell Line for Targeted Gene Insertion you can skip the first step of the PinPoint Targeted Integration workflow because SBI’s already done it for you. This mouse fibroblast iPS cell line comes with a PinPoint attP site already placed and validated to be present in single copy, so you can simply co-transfect with the PinPoint Integrase Expression Vector and an appropriate PinPoint Donor Vector. With the PinPoint-FC Murine iPSC Platform Cell Line for Targeted Gene Insertion, generating isogenic cell lines becomes a straightforward, one-step process that can be easily implanted as a high-throughput assay.